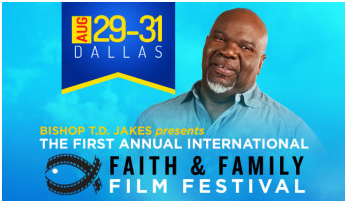 The First Annual Internatio​nal Faith & Family Film Festival Treatment Competitio​n-Winner’s Film Will Be Produced By TDJ Enterprise​s! 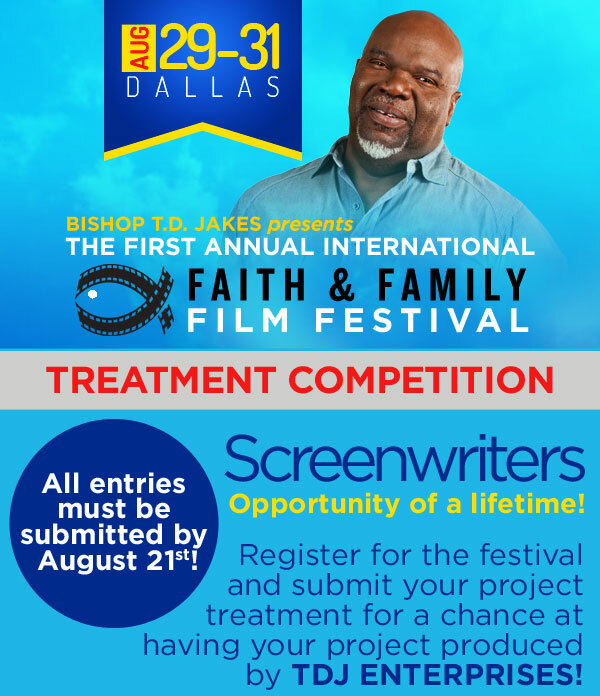 Description: This Short Treatment Contest hopes to discover the next great story for TD Jakes Enterprises to develop into a mainstream feature length motion picture of 90-110 minutes in length. This is not a contest looking for a “short film” idea. 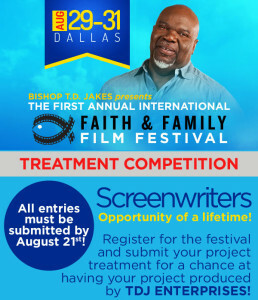 We’ve called for “short” treatments because the entries should be only 500-1,000 words, similar to a story or movie synopsis; a Full Treatment would be 6,000-10,000 words in length, which we will not read or consider. Entry: Email a PDF document of your story that engagingly conveys the story’s major beats in 500-1,000 words, including the ending. See the detailed description of what you should send below. Please click below for all of the exciting details! Brandon Jennings is a sports writer for Dallas Entertainment Journal and Inside DFW Sports. Brandon is also an on-camera sports reporter for KTEV covering the Dallas Cowboys and Dallas Mavericks.